Made by Shogyo. 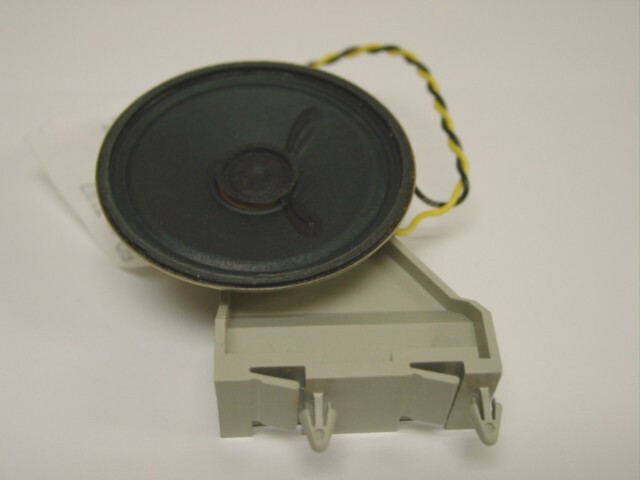 8 ohm speaker, 2" diameter, 0.2 watts. Looks like it was made to fit on a computer circuit board. Has plastic mounting with feet to snap in place. Has 6" leads.